One thing we tried – very hard – to nail down yesterday was the price Disney paid for Tapulous. Disney appears to be extra paranoid around the price leaking, and forced key executives and investors to sign specific nondisclosure agreements promising not to disclose that information. All of which of course makes us really, really want to know. The purchase price was somewhere between $22 million and $50 million, we’ve confirmed via multiple sources. Employees, say one source, appear to be getting paid based on that lower number. But there is clearly an escrow and an earnout as well that is bumping the total price, if that money is paid out, to something over $30 million. Our best guess is the total price is somewhere around $35 million. That’s not bad for a company that’s raised just $2.8 million in funding. 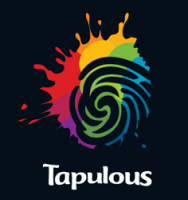 But Tapulous was profitable almost immediately and didn’t need to raise a lot of money to scale. Revenue comes from multiple sources – ads, song downloads referred to iTunes, song downloads into the game, among others. Last year revenue was around $5 million. This year they are already hitting $1 million/month and will likely have $15 million of so in revenue for all of 2010. The gaming space is very, very hot right now and all startups with any real traction are fielding buy offers left and right. We’ll see a lot more deals like this over the coming months, with Zynga, Disney, Playdom and others buying.